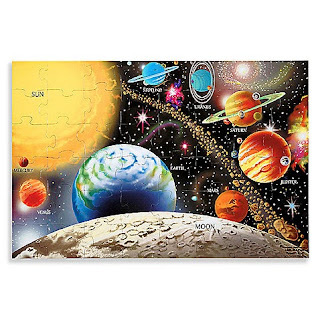 I always have a hard time ranking 'cost' as it really depends on your budget, but this Melissa and Doug 48 piece puzzle is under $13 off Amazon. 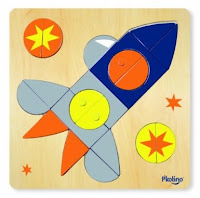 I'm pretty stingy with my budget for educational materials and try to stretch it as far as possible, so I questioned if Hannah would benefit from this puzzle or if the money would be better spent towards a different activity. When it comes down to it - I think puzzles are extremely important to include in any learning unit. I'll explain more in 'Educational Value'. 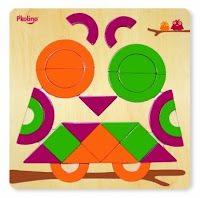 The 48 pieces create a giant puzzle that is 2' by 3'. The pieces themselves are large, easy to pick up, and the box is sturdy so storage shouldn't be an issue. You'll need to clear a large open space as the puzzle is oversized. No other prep work is needed. 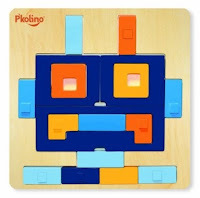 I mentioned earlier that I think puzzles are an important part of a learning unit, but in actuality I think that puzzles should be a part of a child's daily life as they are a wonderful way to assist cognitive development. 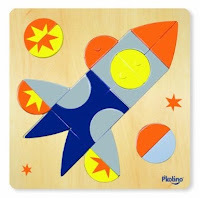 Besides encouraging logical thinking through matching the images on the pieces, puzzles also improve spatial relation abilities, shape and size recognition, and hand to eye coordination. Plus the tenacity needed to complete a particularly difficult puzzle will lead to a lot of pride once it is finished. In my book, the value of a puzzle will always be High. Although we haven't tried this puzzle ourselves, I recently stumbled upon it and was so impressed that I just had to share. 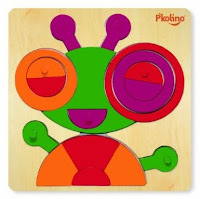 This puzzle from P'kolino has multiple solutions, so besides just arranging the pieces to create the image, the child also can use their imagination to create different combinations. Isn't that awesome?! I'm so excited to add this puzzle to our collection. If you're interested, there are also other options from this product line. I hope everyone enjoyed their weekend! 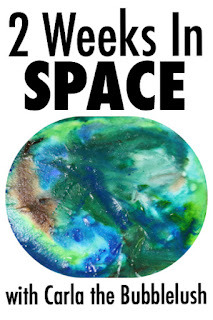 Come back tomorrow for more SPACE themed toddler / preschool activities. 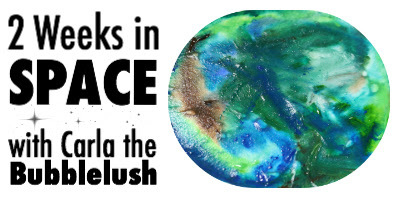 Make sure to follow me on Pinterest and check out my Space themed board. 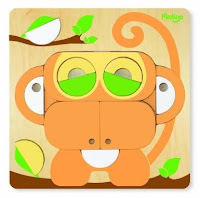 Puzzle is the best opportunity for the development of logic, thinking in children. This is a very interesting activity. 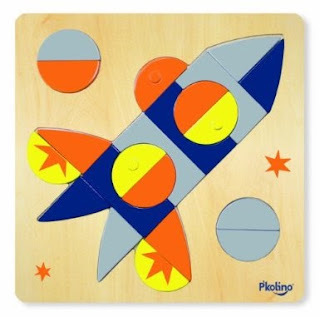 Exploring space with the puzzles is one more excellent idea to make your little kid smart and clever.